Braintree is a Chicago-based company that develops eCommerce mobile and web payment systems. 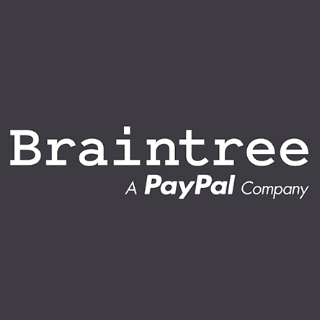 Since 2013 Braintree operates as a fully owned subsidiary of Paypal. Braintree Marketplace is a common payments management platform purpose-built for merchants that act as an umbrella for multiple sellers, making it easy to split payments from customers between your marketplace and your sellers or providers. The secure, accurate, and flexible payment system allows marketplace merchants to accept credit cards, Apple Pay, Android Pay, and Venmo. Braintree Marketplace is free to use for Braintree merchants, while the marketplace pays the standard rate of 2.9% + $.30 when the customer makes their purchase, and no charge for splitting and distributing the funds to you and your sellers.